It’s time to feel yourself fabulous! I am here today to share with you a great Polyvore sets collection featuring amazing capes outfit ideas for women over 50. Why do I like capes so much? This layering piece ideally suits those days when it’s not quite cold yet, but you already feel chill in the air. Cape is a functional piece of clothing that offers comfort, warmth and fashionable look. 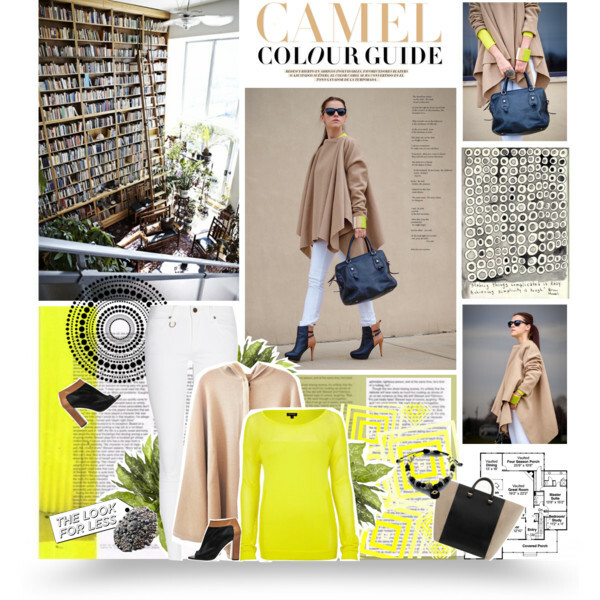 If you do want to add new pieces to your Fall wardrobe, then cape is one of those must-haves. Below are shown various ways how to wear this layering piece in real life. Whether you choose a formal cape to elevate your evening gown , or a casual style to layer over your favorite jeans and sweater, you will feel comfy and pleased. Of course, you will need to get the silhouette right, so you don’t look shapeless. 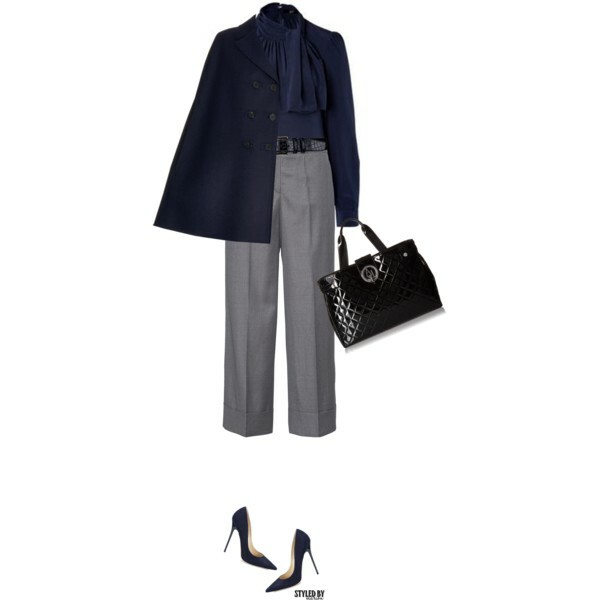 The cape is wide up top, that’s why you will need to wear tapered pants, leggings or pencil skirt under it. 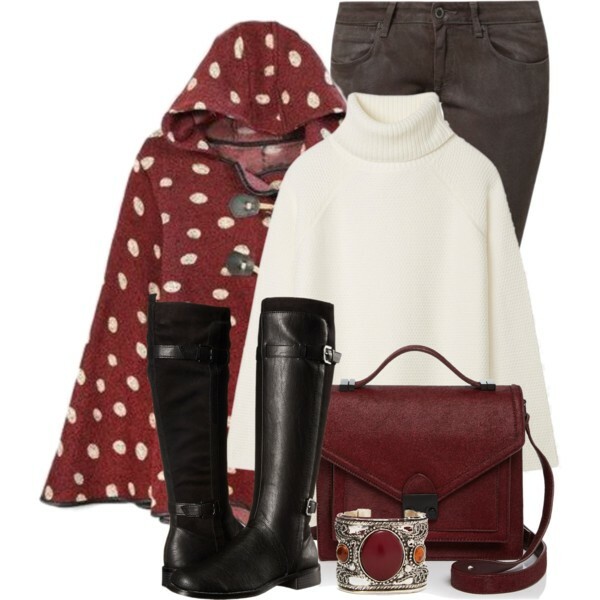 White dotted burgundy hooded cape made of wool can be worn with low-rise grey-brown skinny jeans and white turtleneck sweater. 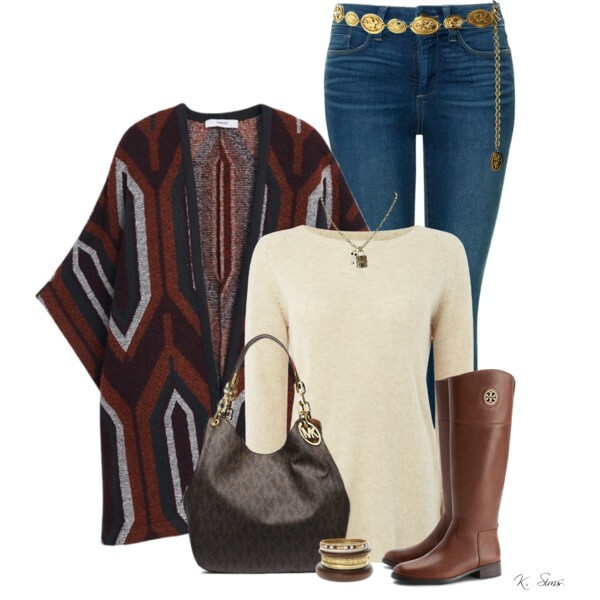 Complete this outfit by adding black leather riding boots and burgundy structured shoulder bag. I highly recommend to stay away from baggy and wide bottoms. Don’t try cape with maxi skirt or dress. Stay streamlined and avoid capes with busy patterns, patch pockets, etc. Look for sleek capes with clean lines. If you are beginner in this garment, then you better buy neutral colored cape, like the one in brown, black, burgundy, camel or grey color. Next thing is to carry the right bag. Avoid shoulder bags with long straps and buy chic oversized handbag, an elegant bracelet or expensive watches. Speaking of shoes, then you definitely should give a try to cute flats or tall riding boots. 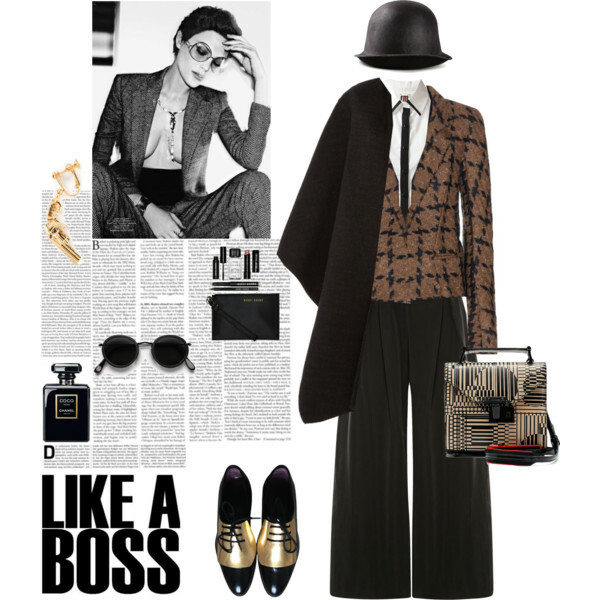 Anyway, take a close up look through my favorite Polyvore sets and let me know your thoughts in the comments below.